Specimens of this species have never been caught so there are no types. 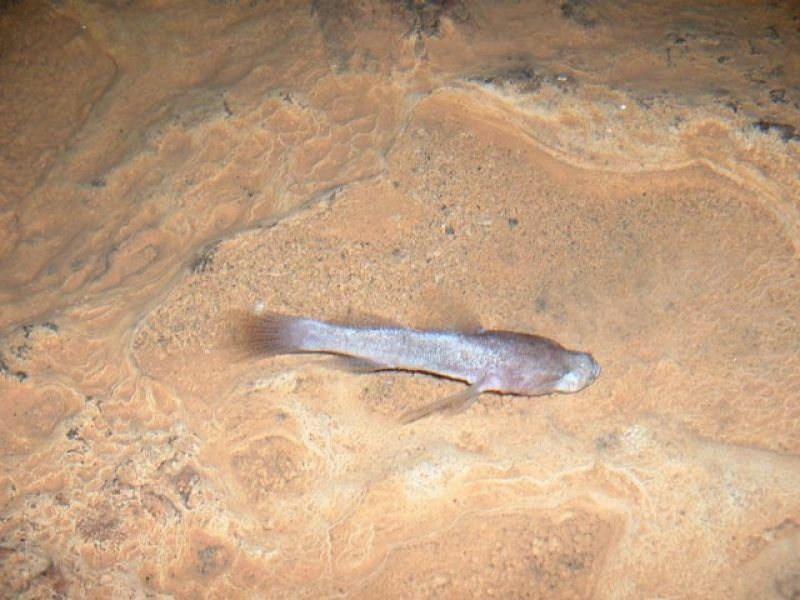 Known only from Marbo Cave, Guam, western Pacific Ocean. Kuang et al. (2018) used molecular markers to study the internal structure of the Suborder Gobioidei which contains within it eleven Families. They demonstrated that Milyeringidae is sister Family to a group of four Families: Oxudercidae+Gobiidae+Butidae+ Eleotridae and is only disttantly related to four others: Odontobutidae, Rhyacichthyidae, Apogonidae and Kurtidae (samples from Thalasseleotridae and Trichonotidae were not availabe for analysis).